I don't know if there's a topic dedicated to this yet or not, but if there isn't, then here it is. Feel free to discuss the CCBS figures here, which ones you would get, which ones the coolest, all that jazz. Oh... yeah. That Darth Vader is different. Well, maybe this topic is useless at this time. @Nyran, @MT_Zehvor, @Wajknight. Shut 'er down, if you agree with me. Now, if Lego made actual sets of these figures, except like the real Darth Vader set, that would make my day. I really hope they do Grievous in tan CCBS. I can't wait to see the ultrabuild Grievious. I don't care if it's white or tan, it'd look awesome anyway. Grievous was always my favorite. Also, I am definitely getting Darth Vader, if only to see how he's built. Yeah. Darth Vader is my number 1 set to get from these. Whaaaaaaaaaaattt!?!? I must be living under a rock or something. Never heard of these, but clearly I need Grievous. I found a video showing some of the other sets; don't know if anyone else had seen it yet. That video is undeniably fake. The box art is super old, half the figures aren't the ones that were confirmed a while back, and the Darth Vader doesn't even look remotely similar to the one we got at Toyfair (or was it NYCC?). I can't wait for the Grievous and Cody Ultrabuilds. As a huge Star Wars fan, I hope to pick at least one of them up. That video is undeniably fake. no its not he was talking about the cusso project in the video and he even said that they were coming out back in 2013. True. I'm not trying to take the mickey out of him though. I just think it might not be the best video to link to in a discussion thread about the 2015 SW Ultrabuilds. I'm not trying to take the mickey out of him though. It's British slang. It basically means "putting down/making fun of someone". 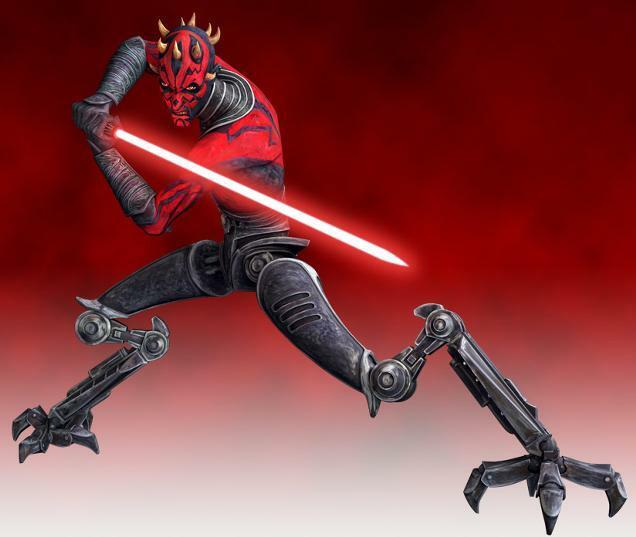 I'm wishing for a Darth Maul set with a realistic "getting sliced in half" function. If you push the lever on his back, his torso breaks in half. Complete with interchangeable robot legs!